This is another relatively subtle joke for BitF, and one that requires a little Poke-knowledge. 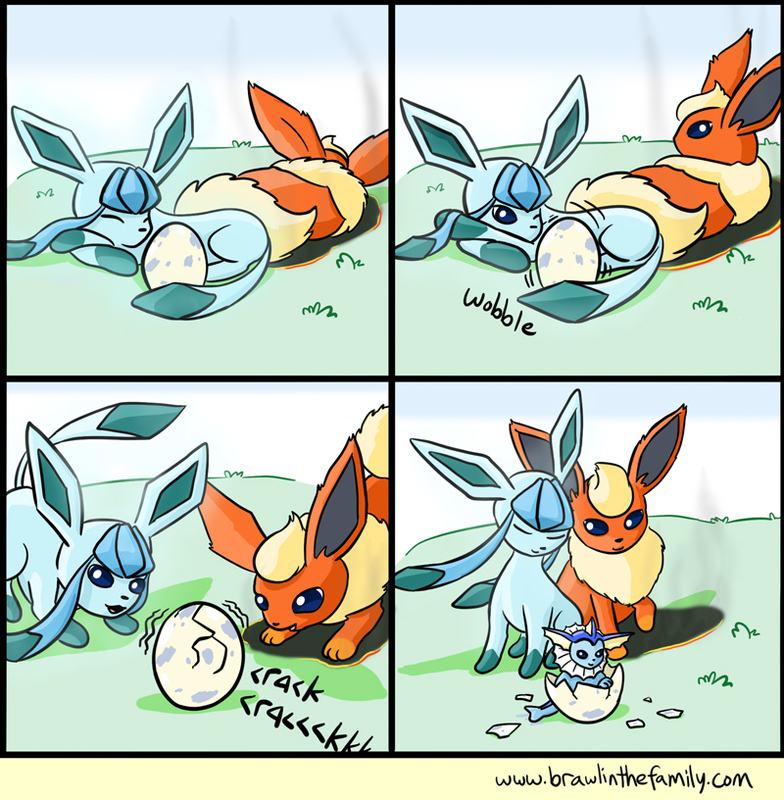 Breeding the Eevee family doesn’t work like this, but it should. Time for Episode 02 of the podcast! And look at that, it came along with the comic. I still haven’t decided how best to upload these, so for now, enjoy the freebie! [Act 5] Reader Comments: Podcast Feedback (46:00)– A new segment involving you, the readers of BitF! Today, Matthew and Chris reply to the initial feedback from the podcast, as well as what they aim to do with it. Sorta. [Act 6] Music Break: “A Link to the Past Medley” (48:58)– This section is all about giving you guys a remix straight from Matthew’s (dad’s) keyboard. This time around, in the spirit of the podcast, the Fire Emblem Main Theme. [Act 7] Closing Comments (52:27)– That’s a wrap! Matthew and Chris are thirsty for more Zelda discussion, even though 30 minutes of this podcast was already out for excessive chattin’. CD-i Zelda sneaks its way into this chat somehow, and everyone starts talking about them snuggling together on the carpet at the end. Let us know what you think of this episode in the podcast discussion thread, and you may be featured in the next one!